I watched it tonight with Chef, the inlaws and all the boys and didn’t wince once. In fact, I was quite pleased. And how hot are my new specs. 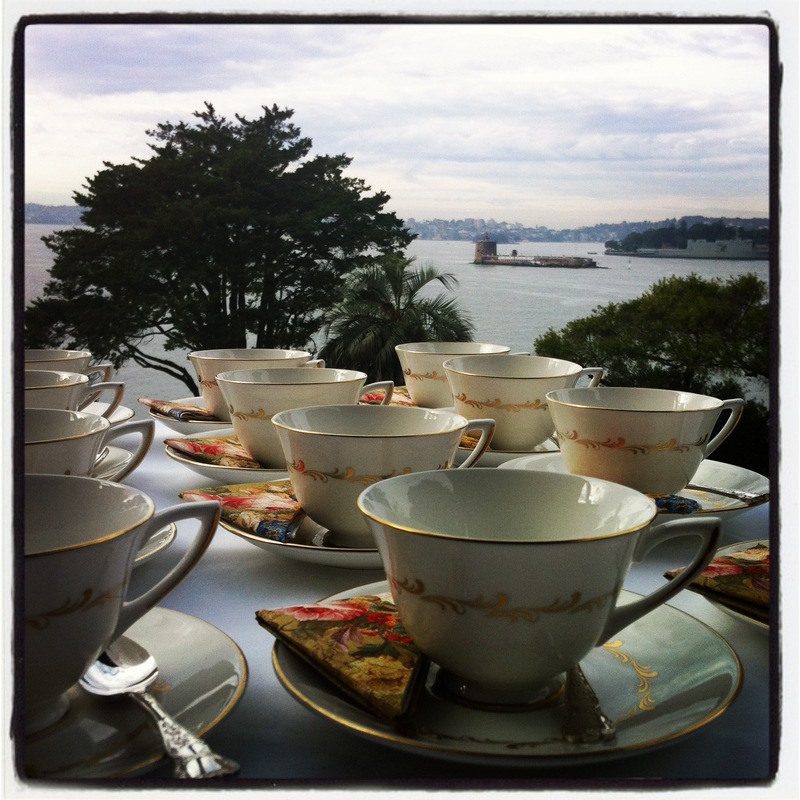 Morning Tea with the Prime Minister at Kirribilli House. I KNOW. Today I met with the Australian Prime Minister, Julia Gillard for morning tea at Kirribilli House. I did not drop or break the good china. I did not spill food down my front. I spoke with her about why I blog, how online media offers far greater opportunity for conversations on complex topics rather than a three minute news story with a grab from two sides of the debate and no acknowledgement of the subtle nuances (yes I actually said that) that come with any big topic. And I thanked her for bringing the disability sector to the front and centre of the stage. That it affects so many people and how important it was. Then I got that little quiver in my voice – you know the one – where you’re about to get teary. I do it ALL.THE.TIME. and it SHITS me. I met Marieke Hardy and Clementine Ford – two ridiculously witty and irreverant women I was determined to win over with my own wit and charm. I was carrying the unfortunate handicap of having my hairdressing appointment this afternoon not yesterday so I had my M’Lynn brown football helmet hair on but they seemed to warm to me. Either that or they were engaging the smile & wave approach to the scary lady with the hipster frames. And then I gave the PM a jar of my plum and cinnamon jam. I indicated that it was for her and Tim to have on their toast at brekkie at the Lodge and not for some staffer. There was much laughter. It’s OK to frame a tweet yeah? Author allconsumingPosted on June 15, 2012 Categories Me, that'll do pig that'll doTags Julia Gillard44 Comments on Morning Tea with the Prime Minister at Kirribilli House. I KNOW.